Speaking of Zombies… do we have a Zombie renaissance? A Zombiessance? I sometimes wonder how the production cycles work to spurn out several films from the same sidelined genres within a couple of months… And as for all Zombie movies, it is difficult to stay original. 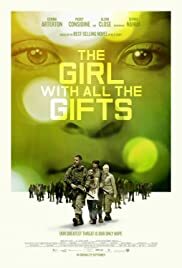 “The Girl with all the gifts” tries to be different, tries to take a page from Danny Boyle’s ventures into Zombieland in terms of production design, shows a dystopian setting in a bleak Britain in the grip of an epidemic by “Hungries” (well… Zombies), and tries to add some juvenile heroism. This is all pretty straightforward, with the exception of the fact that there are naturally hybrid creatures, such as the wonderfully curious and reflective child Melanie (Sennia Nanua), and that the world looks very British in the same way that Children of Men looked very British. British dystopia can look a lot like British reality, just with zombies… it’s a bit more grey than other dystopias. Melanie has to escape from the research facility in which she is held, together with a rather ruthless scientist (Glenn Close… where have you been?) and two soldiers (Paddy Considine and Fisayo Akinade). They have some form of mission, but to be honest, I already forgot what they did and why they were doing it. What’s important is that they need to make it somewhere, and that Melanie is essential in this, because she is the only one who can safely walk between the Hungries and the humans. I was not really bored, but I consumed this the way you consume something that has been on your plate quite often, with reduced interest and little enthusiasm. Sennia Nanua is great, especially in the opening sequences where she is shown to be part of a ghastly educational programme. Then there is a lot of running, shouting and shooting, and the story went the expected direction. Only towards the end does the script find back some of the originality of the beginning, with some unpleasant resolutions emerging among which the characters have to choose. After seeing this, I was actually regretting not having read the book instead. I guess that as a science fiction horror hybrid, this could work pretty well, given the larger space available for the respective characters and the establishment of the world design. Of course Zombie movies are not everybody’s piece of cake. They are not even everybody’s piece of cake among those who like zombie movies, given the amount of nonsense that has been around for the last decades. Whenever I see a trailer or a plot synopsis for such a film, my defenses go up immediately and I wonder where a new film may find something original to tell in a setting where the undead start roaming, or most recently running, the earth. Hence, after some of Romero’s films, and after Danny Boyle’s “28 days / weeks later”, and after “World War Z” added the Global Blockbuster aspect to the genre, I keep suspecting that I have seen everything that could be fun about them. This is partially true for “Train to Busan”. It is not much different in terms of plot from “Dawn of the Dead”. People are locked up in a confined space while the world around them falls to shambles, they need to defend themselves against intruders and at some point they need to get out. This kind of setting is made to create social comment, you can nicely place the good guys and the bad guys, the selfish and the mellow-hearted, the fanatics and the hesitant. The difference here, firstly, is that to a Western audience, the social commentary goes into somehow different directions. Korean movies have their topics, and they turn up here as well: blind career-orientation, class awareness, family bonds… the ruthless business guy replaces the egomaniacal redneck. 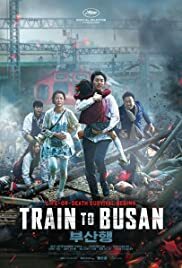 Apart from that, execution needs to be judged, and “Train to Busan” shows all the features of today’s professional action cinema. Exploding trains, burning cities, and of course, hordes of very fast zombies come together for an entertaining bit of action. It is not tight enough to make you forget the plot holes. Most notably: if they discover early on that the zombies only recognise their prey on sight and are easily calmed by putting up blind screens, why is this not used later on when clearly this would have been a very good idea? Be that as it may, the film rewards with proper heroism and a very well executed closing scene. There may not be the need for more Zombie movies, but when done like this, hey why not? Oh dear… whatever else the film may be, it is not a contender for Pulitzer prize for movie dialogues … “Save your dream” … Forest Whitaker and Mads Mikkelson will hide under their newly purchased very expensive blankets each time they attend a screening given the lines they have to say. In general, the film made me wonder why they cast some stars among all the newcomers and fresh faces anyway. All the star appearances are off and actually a distraction. Where Rogue One somehow delivers is the new set of characters, played by new or not yet too familiar actors, that does stuff related to the Star Wars universe we are already familiar with. 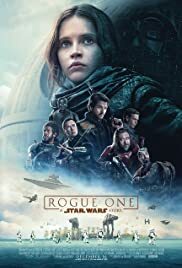 When the new and the old universes merely touch, Rogue One has the liberty of being a different animal, some form of war movie where the resistance fighters need to make their way to some McGuffin thing that allows them to fight for an hour against the Imperial Forces. Of course everybody appreciates Darth Vader being around (who doesn’t love Vader, right?). But Mr Whitaker, Mr Mikkelson… sorry, guys, there are different films that had been waiting for you while you were busy learning your “lines”. (It should be noted that there’s still Ben Medelsohn – he may not have the star power of the aforementioned, but he is the only well-known – and great! – actor who got himself a proper part written into the script). Rogue One is entertaining once you turn off your brain and stop trying to follow what exactly is happening and how it would link to other storylines within Star Wars. Especially at the beginning the film jumps from this Imperial base to that resistance stronghold, and to that outer rim planet and another place that I forgot. You can sort the position of your popcorn and your beer while watching that. At some point, everybody is where they’re supposed to be, and then you can settle into some decent combat action, with powerful war machinery and brave fighters and high towers and and and. AT some point, the expected outcome arrives, which is when the film finds its moment of originality. The end is surprisingly bold and refreshing, and I salute you, Disney, for doing what you did. I am sure the forthcoming side stories as well as the main franchise will print plenty of money and will allows the older ones among us to think back fondly to the originality and surprises the original Star Wars movies presented. You will not find too much originality in the franchise anymore, but it still is satisfying action cinema. 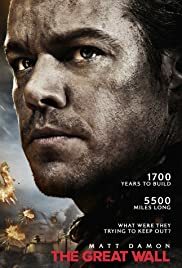 What is interesting is how director Gareth Edwards has found his way into blockbuster territory in such a short time, though what can only be called excellent choice of projects, even if every single one of them I would call seriously flawed. But he showed his talent and prowess for all these things are required for a big player in the action genre, and that’s where he is now, suddenly part of the new generation of whiz kids led probably by J.J. Abrams. There are twist-ending films that make it very rewarding to come back to see them over and over again, trying to identify the pieces of the jigsaw that you missed out the first or second time. 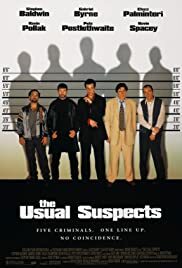 This was true for the Usual Suspects when I saw it originally, when it came out in 1995. First time, it was a mind-blowing finale, second and third time it was fun to relax and smile knowingly at the deception. Now after quite a few years, the film has lost quite a bit of its thrill, I have to say. if you are a father, be warned: if you have all your senses together, you will feel poorly equipped for your role after watching this. Viggo Mortensen is the loving, intellectual, practical, funny, strict, unwavering man you strive to be but are incompetent to become. He holds together his generously numbered family (I lost count how many children) after his wife is hospitalised. This creates two parts, one of which is considerably better than the other. I assume the script was developed around the idea of “hipster father trains his children in the woods to become brain soldiers”, and that section is brilliantly played and conceived. Challenging his kids’ intellects and bodies, celebrating Noam Chomsky day, hunting deer, establishing dress codes for various occasions (not naked at dinner) is both hilarious and inspiring. You may not feel affection for all his efforts to create a mini platoon of anti-capitalists, but you have to honour the result: a bunch of bright minds that are advanced enough to challenge even the foundation on which their family has been established (including the decision to enter the establishment by way of fancy university degree). 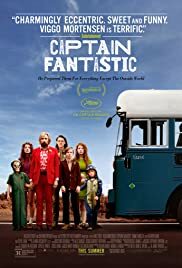 When the film moves into the second part, with father and kids leaving their camp and entering civilisation in order to face the real life in which their mother and wife has been sick, the film loses a bit of its steam. The father is confronted with the limits of his influence on that outside world, the kids are confronted with a number of things they have not been taught (like kissing girls). Maybe it is because a character like the one depicted by the ever-brilliant Viggo Mortensen is more impressive when seen in isolation, and appears to be more clownesque when put in the hostile environment that is the American middle class. Maybe just because the mission they are on does not provide for enough substance to make that part as interesting as the beginning. 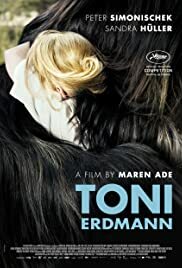 Let’s all take a deep breath… yes, Toni Erdmann is a funny and sad film, a combination that rarely works, but here it does. Yes, it being a German film makes this maybe all the more surprising, especially for those unfamiliar with German cinema. Yes, Peter Simonischek and Sandra Hüller’s performances are great, especially Hüller is impressive in her balancing the sad corporate robot slowly developing some form of human capacity over the three hours of the film. And, oh yes! there are set pieces such as the already notorious party towards the end of the film that warrant any praise available. My Goodness, that is weird and funny! 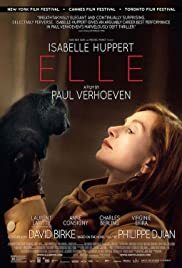 I would still like to praise the film as much as I can, but I was a bit surprised to read all the reviews after it broke out at the festival circus, the high expectations that built up during the Summer and Fall did not quite materialise. The American East coast lends itself to chilling stories about chilled emotions in grim environments. People scuffling about with their jackets zipped up, ghastly wind ruffling hair, and a general feeling that being there is a survival task rather than a chance to experience warm feelings . 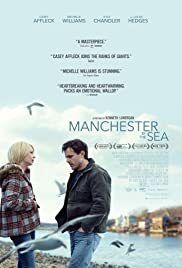 When I started watching “Manchester by the Sea”, I immediately had this cold atmosphere thrust upon me, and it never left. The way Lee Chandler’s back story unfolds over the first half of the film does not provide comfort either, it is uncomfortable in a fundamental sense, but not in the way a thriller would do to finally unravel the secrets of its protagonist, rather in the way that makes me suffer with Lee despite not knowing what he experienced. I did not feel that I really needed to know, but when we learn about the reasons for him leaving his old home, it is still shattering. Very much so, actually: When we see the flashback, it is devastating in the way it plays out without artificial drama, allowing the course of events to destroy lives in more than one sense. There are some brilliant moments in the screenplay that are worth remembering, especially everything that happens at a police station. How Lee falls into an abyss, and how this is made even worse by the authorities refusing to allocate blame. This suffering, and the lack of repercussion, feels real, and who better to play silent and intense suffering than Casey Affleck? When Lee returns to Manchester, it is to take care of his brother’s affairs after he suffered a heart failure. How this forces him to deal with aspects of his life he never wanted to deal with again is cruel. While Michelle Williams’ presence in the film has been significantly overstated by poster and trailer, when she is on screen she delivers some moving touches. There is one scene when she meets him on the street and admits to her ex-husband some things he does not want to hear that I would watch over and over again, uncomfortable as it is, for the sheer brilliance and intensity of these two characters who have lost the ability to communicate with each other. On the other hand, there is always a way forward, isn’t there? Hard is it seems to believe, they all carry on, and move the film to an actually rather uplifting finale. So don’t fear the grimness, watch it to celebrate what comes next. This is one of the cases where advertising and a film’s reality do not perfectly align – while the title and the ads suggest a film about a man with split personality, there was not really a suggestion of what the film really would be about. That left me hesitant, but when I watched it and discovered that there is a somehow straightforward abduction story at the centre (happening within the first couple of minutes), which is then used as a platform on which the mental state of “Kevin” (James McAvoy) play out, I was soothed. This is a thriller at its heart, and whatever else there is does not completely rely on the question of how many personalities Kevin may display. Actually… when it comes to the revelation of that final incarnation towards the end, the film loses a bit of its credibility and forced me to swallow my “oh Shyamalan!” cries of pain. McAvoy had done quite a great job at playing the eerie and threatening and pitiful by way of sheer acting proficiency – this is a bit devalued when the more, say, spectacular events occur in the finale. There are other oddities and instances of writing clumsiness, such as the role psychiatrist Karen Fletcher (Betty Buckley) plays in the whole affair. I am tempted to say that I will never see a Shyamalan script that is as tight and stringent as I would like it to be. 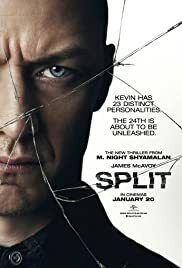 Still, all in all “Split” is a decent thriller that was hardly ever boring – it looks like a slightly higher-budget B-movie perfectly suited to consumption at a midnight screening on a Friday night. What a heart breaking and beautiful film, what a terrible and beautiful ending! Over the days after seeing it, I got hit by the film again and again, in a way that rarely happened. That had nothing to do with this being about aliens arriving at Earth, but by the film featuring a woman who learns some painful truths about life. There is a case for arguing that the film is not about aliens at all, but about the insight that life deals with mortality and about the insight that this is the one aspect of life you can do nothing about. 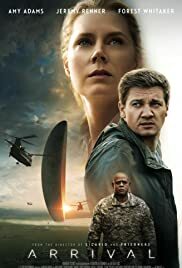 Amy Adams is the film’s heart and soul, and while you may wonder at the beginning why it is that she is somehow shoehorned into the position of being chief negotiator with whatever life form it is that descends upon our planet, it all makes perfect sense at some point. The film plays with time lines in a very intelligent and crafty way, never cheating the audience, never going for the cheap thrill of the “aha!” moments. There are moments of “aha!”, but they all embrace the whole of the story, creating completeness rather than sudden twists and turns less talented writers would have fallen for. Denis Villeneuve excels again: Prisoners, Enemy, Sicario, Arrival… what a run!. Together with screenwriter Eric Heisserer he has created a masterful bit of cinema that stuns narratively and visually. You can dive into the beauty of the alien’s communication patterns, can enjoy the astonishing sound and production design, while at the same time never abandoning the admiration for the serious storytelling you are experiencing. But to stress it: This film looks so BEAUTIFUL! The production design of the spaceship, the design of the visual language they use for communicating with the aliens… stunning! The visual and acoustic beauty serves the story of this woman, who brings all her talent and knowledge to the table, takes risks and is rewarded in an existential way, both cruel and beautiful. Of course, praise also goes to Jeremy Renner, who serves as some form of facilitator for Amy Adams’ path, and to the other supporting cast such as Forest Whitaker and Tzi Ma, all positioned perfectly. At the end of the day, it’s still Adams’ film and hers alone. Want to see again! Evil coconut pirates? Check! Stupid rooster sidekick? Check! Dwayne Johnson trying to sing? Check! Sharkhead magic-mess? Check! The key ingredients for a funny story with pretty Hawaiian setting are in place, Moana does hardly set a wrong step. The songs are enjoyable if you enjoy this kind of Broadway formula, with the title character’s song “I am Moana” actually rather memorable in its theme tune-ishness. The story of the stubborn almost-princess-girl ignoring the rules and finding her true destiny is nowhere near original, but then again, what is? She is gorgeous and courageous and she defies establishment, and that’s what counts in uplifting films aimed at kids these days. The mission she has to accomplish is easy to be forgotten sometimes and fades into a McGuffin background noise, at least until she actually arrives where she is supposed to arrive and faces a Lava Monster that reminds her of what’s at stake. What stands out is one character and one song, however: The Shiny Crab is weird and creepy and amazing on a level that reminded me of “Tommy” and its age of psychedelia more than anything… do not care whether this does in any way related to the young target group, the Crab ROCKED! And the rest of the film? Moving from set piece to set piece, some of which less exciting (finding Maui), some more (Coconut! Pirates!). The imagery can be absolutely stunning, such as when Moana sees the reflection of her ancestors as voyagers in a dream-like sequence, or when granny’s tattoo comes to life. The craftsmanship involved here is fantastic. As things are, this must be a key contender for the 2017 Oscar race, and it should be able to keep up with competing “Zootopia” and the slightly more interesting “Kubo and the Two Strings”. The first thing to note (as it comes up at the very beginning of this yet-another-Marvel-sub-franchise) is that I love Tilda Swinton, and I love Mads Mikkelsen to pieces! Seeing either of them in the role of martial-artsy super witchmasters is, however, wrong on all levels (more wrong for Mikkelsen, for some reason, don’t ask me why). I know, it’s great to cash in on the brainless machinery that produces superhero franchises these days, but I feel very uncomfortable watching them touch this. It’s a bit like walking into your parents’ bedroom and seeing, you know… just saying… On the bright side, this is not as bad as other recent comic book adaptations, I have to say. There were some attempts at humour (albeit sometimes force-fed into the plot, see Mr Wong), there were some fun references to greater pieces of art (Groundhog Day, most notably, but also Inception’s fluent approach to city architecture and The Matrix’s, well, matrixness). I am sure diehard comic book fans felt obliged to shout hooray at the expected cameos. That whole universe with witches and wizards sitting next to the Avengers universe of superheroes, however, looks quite stale and unnecessary. While the authors made the best to set up a large parallel franchise, I do not believe there is plenty of potential to tell interesting stories. It is too generic, and the interesting cast members are now gone (one must assume). What’s left is Benedict Cumberbatch, but to be honest, if I want to see somebody wearing Littlefinger’s dress, I would much prefer this to be Aidan Gillen). Cumberbatch has been moved from interesting actor to mannered mainstream commodity, and has never been a reason for me to watch anything to begin with. It needs quite a bit of something different to get me interested in comic book adaptations these days. I get confused and bored between all those team this, team that franchises, and I remember being slightly amused by only two out of the last 15 or so Marvel, DC and whatever comic adaptations (the first Avengers film, and Guardians of the Galaxy were slightly amusing). As part of the problem is the streamlined and family friendly environment in which all this takes place, Deadpool got my attention when it became clear that it is neither. It’s hero is a narcissistic prick, a potty-mouth supreme and they producers take the “comic style” premise seriously. Not so much neon-clad fist fights, but excessive and gratuitous violence, so much over the top that it can only be justified within a comic setting. And they got me with the opening credits: if you don’t laugh at “Director: overpaid corporate tool” and “Written by: the real heroes”, then you can just as well leave the theatre right away. This, I got the signal, is a film made by the guys who are as fed up as I am, and they found a channel for their anger in making a film they would like to see. Superhero Wade’s casual conversations with his buddy Weasel and his flatmate Blind Al, the bickering with minor X-Men characters over their failed efforts to recruit him (and the producers being unable to afford more senior X-Men members) … these are the film’s strengths. When it comes to the third act, as you would expect, things get a bit more straightforward, epic battles lead to epic destruction and ultimate happy endings. But despite this more conventional part, they managed to keep me interested and entertained – in stark contrast to the likes of recent Superman or Iron Man installments, where boredom started creeping in as soon as the final battles commenced. Hence: very entertaining adult entertainment, which will certainly trigger more of the same which will be much less entertaining. Let’s take it as it is, a surprisingly fresh element in an otherwise stale genre. Stephen Chow knows how to make blockbusters for Chinese audiences. My guess is he is mystified as to why they keep racking up box office records in China, while being ignored by the rest of the world. The reason, I think, is because they are pretentious and poorly made. They pretend to be blockbusters of international quality, while actually being slightly embarrassing variations on what you have seen on the screens already. As the Chinese domestic audience seems not to care about the absolutely sub-par quality of cgi in films consisting mainly of cgi, he is getting away with it here, but not there. It is not much of a surprise that this film catapulted itself into the top grossing films in mainland China in a short time. When you look into other non-Hollywood domestic markets, simple-minded comedies that manage to push the right buttons at the right time are the one segment where local film industry can hope to compete with blockbusters for the hearts of the local audiences. Jian Bing Man follows “Lost in Thailand” in that respect, but with (I would guess) considerably higher budget (needed to show off some celebrity lifestyle and Beijing cityscapes). Whether or not Jean-Claude Van Damme was a necessary addition… well he is there and manages another split, which is an achievement that sets a good example for senior citizens. Stay fit, it might lead to a small part in the next screen sensation. Complete coincidence, really, that just after I saw “Midnight Special”, with director and cast from “Take Shelter”, I saw “10 Cloverfield Lane”. Reminded me all the more painful of the differences in style and quality, and also the intensity of acting you can find these days not so much in the likes of John Goodman anymore, but always when it comes to Michael Shannon. Less intensely maybe than in the previous Nichols film, but also always on edge, Shannon tries to get a boy into safety after removing him from some form of doomsday sect. This is a violent endeavor, the sect does not abandon what they consider their savior lightly, but the stakes could not be higher, everybody seems to think. The boy himself is not so sure about his identity or importance. He knows he has powers, and that he has to wear swimming goggles most of the time to keep himself from doing harm to others. But only near the end of the film does he get a concept of who he is and what he is supposed to be doing. So somebody really liked “Take Shelter” (and who wouldn’t?) and also got the right to use the word “Cloverfield” in the title for a film. John Goodman is available. These ingredients almost automatically lead to exactly the film that “10 Cloverfield Lane” is. While the premise is absolutely fascinating, nothing of surprise or magic comes out of it. 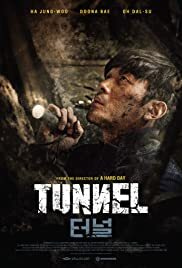 A girl finds herself caught in an underground shelter where her “host” claims to have taken her after he crashed into her car during a catastrophic event of sorts. He has always been obsessed with this shelter, has dedicated his life to “being prepared”. The two of them, plus a guy who helped build the shelter, are stuck there, and for an unclear amount of time. Does John Goodman’s character lie to keep them trapped? Is he just batshit crazy? Is there any way to find out for sure what happened and what had not? Within the first couple of minutes if “The Invitation” you understand what director Kusama is doing. She is setting up Will as the skeptic or even the paranoid guy who cannot just enjoy the party he and his old buddies have been invited to, but smells a rat around every gesture. We assume that we have to play along and assume that the director and author want us to assume that we think he is wrong about all this, because it would be so obvious, which again would lead us to believe that he is right about all this, which again might be reason enough to doubt it … so you have to decide which side you are on: is Will just a party pooper, or is there something going on that puts all the guests in danger? The experienced cinema audience will realise that whenever John Caroll Lynch gets invited to the party, there is a maniac or at least a child molester around, no? Will David play some music in the end (loved Treme! ), or will he kill everybody and serve them to his guru for dinner? So you got your clues, and need to put the pieces together before the reveal comes, for maximum satisfaction. You can only play this game for a while, then it gets boring. “The Invitation” does ok in deciding when to stop playing and start getting serious. But then again, once you stop playing, you change genre, and you either end up in Bunuelian social drama (guests discussing their relationship issues over dessert) or a slasher film. Both options are not very appealing unless very well done. If you only start doing them halfway through a film, what are the chances of getting it right? So this is a bit of several genres, with nice ideas and very good actors, but then again, the film never reaches perfection in either genre. As soon as the truth about the setup has been revealed, the whole thing deflates quite a bit, and not even the strong hands of John Caroll Lynch can rescue it completely.